Holiday celebrations are great ways to utilize your deck, and Halloween works especially well; you can go all out, and have the best party on the block. Halloween is Monday; with the holiday around the corner, you may already have your festivities planned. But there are plenty of DIY decorations you can throw together for an impromptu Halloween party this weekend! Holiday celebrations are great ways to utilize your deck, and Halloween works especially well; you can go all out, and have the best party on the block. 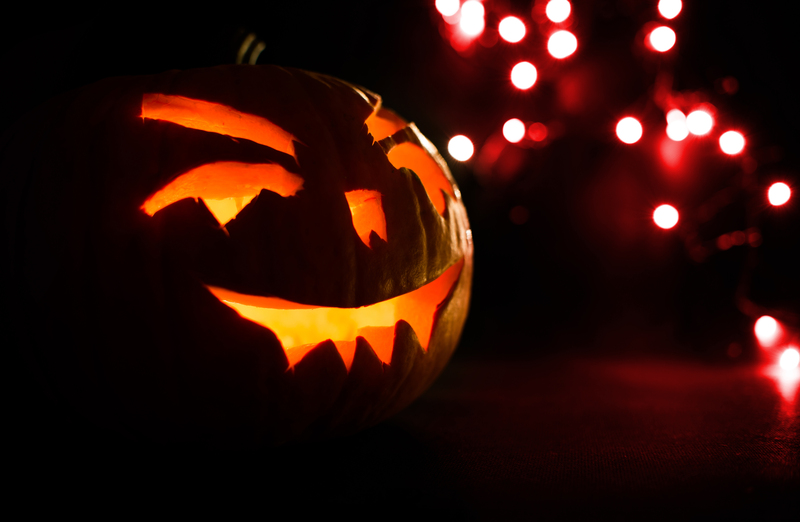 Read on for some great DIY ideas for your upcoming Halloween party! The classic way to carve a pumpkin usually involves cutting a circle-shaped hole around the stem, so you can place the top on neatly. But it’s always a pain to try and scrape out the insides with such a small opening. Instead, cut a square-shaped door in the back of the pumpkin. This makes it much easier to scoop out the seeds, and also helps when you need to replace your candle. An easy DIY can be made using a string of christmas lights and tissue paper! Over each bulb (LED is preferable) ball up some white tissue paper and wrap it with flat sheets. Tie off each ghost with a bit of string. When you’re finished, you should have adorable hanging ghosts that add a bit of ambient light. Draw on some eyes and mouths for an extra cute touch! It’s hard to spruce up a punch bowl. But grab some latex gloves, fill them up with water, and freeze them overnight. It’s best to rinse out the gloves first to make sure any latex residue is gone. When you peel back the glove after it’s frozen solid, you’ll have a cool hand-shaped ice cube that’s sure to surprise and delight guests. A deck that’s off the ground offers a particularly scary advantage. You can buy or make cheap zombie arms and hang them over the sides of your deck through the posts. It’ll look like the zombie apocalypse has come to your yard! Check out more DIY decoration ideas here. Mid Atlantic Deck & Fence specializes in giving you the best deck possible!